Facebook is one of the largest social media sites and so Facebook marketing has become a serious form of marketing. 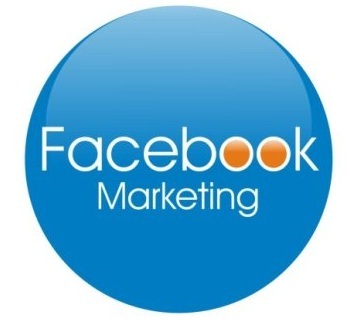 There has been a huge growth in Facebook marketing in the last few years. Facebook’s Alexa rank is #2, which confirms the potential Facebook marketing can have on any business, if done in an effective way. You know that Facebook is basically a social media site where most of the members are people who are there to connect with other people for light informal communication. They want to be part of a group, talk to family and friends and make new friends. So, Facebook marketing should be subtle. Aggressive Facebook marketing is not desirable and it may not be successful as people usually look forward to connect with people in Facebook and not be customers to whom the companies will sell their products and services. So, the companies who are looking forward to Facebook marketing can use attraction marketing to attract the potential customers or the prospects. According to this marketing technique, you have to represent yourself as an expert or a leader who has very good knowledge about a certain thing. Then after this you have to make the people interested in you or the thing that you have to offer and make them follow you. If you can do this, then it will be very good for you business. If want to go for Facebook marketing then first of all you will have to open a Facebook account. Your Facebook account is very important and it should be self explanatory. After you have opened your Facebook account, you have to create a Personal Page, a Group Page and a Fan Page. You will get lots of help from Facebook in the form instructions for creating the different pages. In Facebook, SEO is not much involved, and everything depends on how well you have maintained a network around you for people to see you as an influential social person. After you have signed up and created all the pages, you will have to take steps towards the main thing that is Facebook marketing. You will have to properly set up the pages. You should not forget that people are here to connect with other people for non business purpose, so you have to act as an individual and not as a business entity who wants to sell products. You should fill up the bio information properly where you can let other people know about yourself and help them to connect with you. All your pages must have your pictures which are interesting and attractive. For promoting as a company or business page, it is a totally different concept of marketing through paid advertisements too, but when you are thinking about the simple marketing directly from your account, try to be totally legit and share original information about yourself. You must add adequate high value contents which should not be about the greatness of your product but most of the time, the content should be free. This will make people know and trust you. Once you are done with this, you should start to find people with the same interest and related to your business and join them. Facebook marketing can only be successful, if you properly maintain the pages by regularly interacting with people and responding to their queries. When you are not a business page but an individual-maintained page where people like to interact usually, give your maximum to keep people interacting to each other. Although these are just the basic tips, these could be quite effective if you are looking for a slow progress for a long-term promotion without having to pay for the same. If you are ready to spend something on ads and promotion through that, it would surely help in bringing out more productivity from the Facebook pages you would be working on.